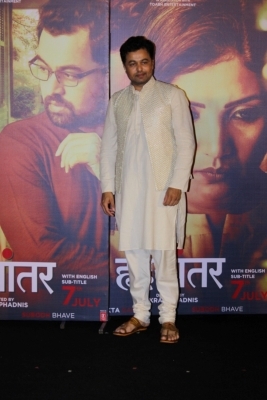 Mumbai Sep 15 (IANS) Marathi actor-director Subodh Bhave says Marathi cinema is known for its quality and good content. "Marathi cinema is looked upon by everyone for good content. When someone has to do a good content-based film they come to Marathi cinema. The directors writers actors singers have all been working towards making it a good cinema and now it seems that hunger has been fulfilled " Subodh said in a statement. Subodh is known for his work in projects like "Tula Kalnnaar Nahi" "Savita Damodar Paranjpe" "Hrudayantar" "Karaar" and "Katyar Kaljat Ghusali". He talked about the evolution of Marathi cinema after announcing Jio Filmfare Awards Marathi 2018 earlier this week. Talking about mainstream filmmakers and actors entering the Marathi film industry he said: "John Abraham had once told me if I have to make an entertaining film I would go to Bollywood and if I have to make a film with a thought-provoking content then I will look at the Marathi Film industry ."